Apple、Intelの第7世代CoreプロセッサKaby LakeやThunderbolt 3を搭載した「iMac」シリーズを本日より発売。 | AAPL Ch. 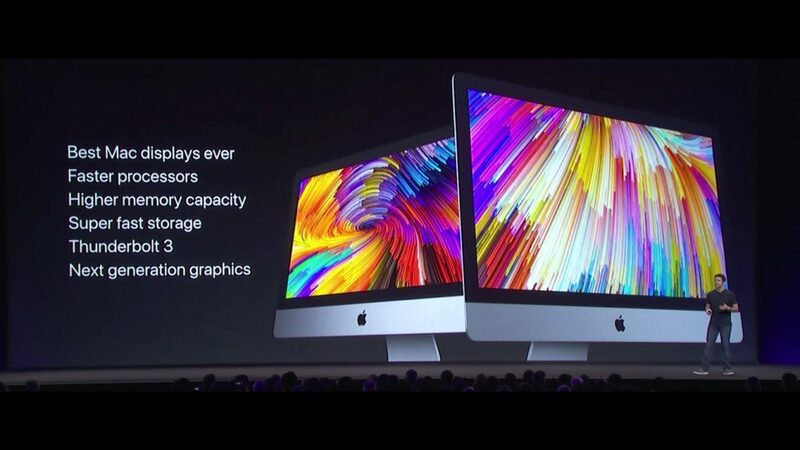 The updated iMac features faster Kaby Lake processors up to 4.2 GHz with Turbo Boost up to 4.5 GHz and supports up to twice the memory as the previous generation. Fusion Drive is now standard on all 27-inch configurations and the top-end 21.5-inch iMac. SSD storage options are now up to 50 percent faster, and iMac comes with Thunderbolt 3, the most powerful and versatile port ever.